Whiting NJ is not exactly New Mexico, but the skies are certainly darker than Montclair and it shows. 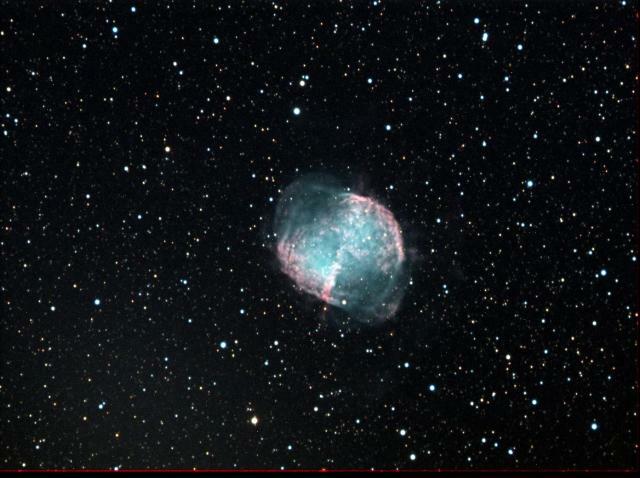 This is a 5 minute shot of the dumbell with a one hour luminance in h alpha. Filters and CCD camera allow us to image from our light polluted skies, but nothing can substitute for a darker sky. What a shame we are losing our night skies.